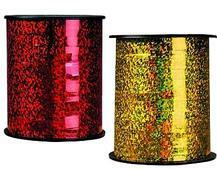 Metallic ribbon is the perfect way to add a touch of glamour and a bit of sparkle to your gift packaging. 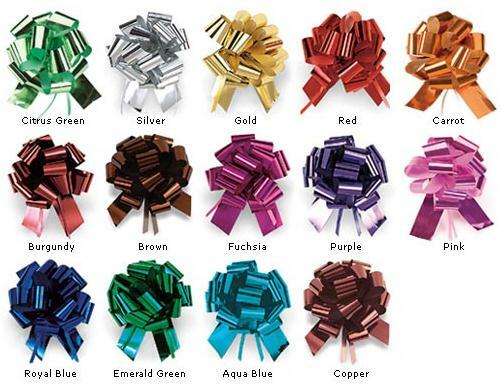 We offer a wide selection of metallic ribbons, from fun poly self-curling ribbon to luxurious metallic organza ribbon and festive metallic Christmas ribbon – you are sure to find the perfect ribbon or cord for any occasion! 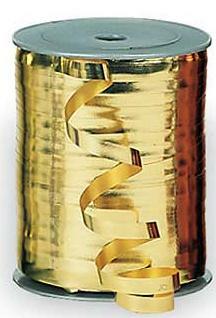 Our self curling ribbon helps you create perfect instant curls - no scissors required! 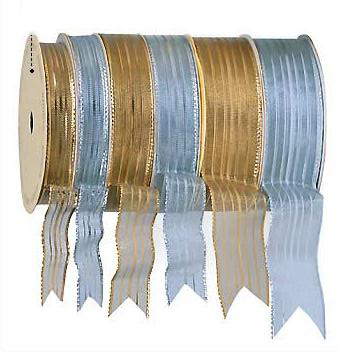 This ribbon comes in a metallic finish.coming in 7 colors, It is 3/8" wide and comes in rolls of 200 yards. 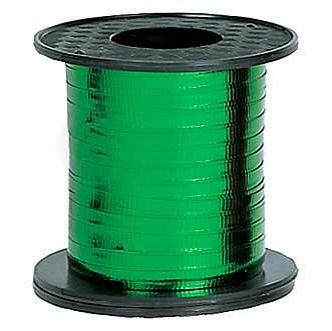 This ribbon is 3/16" wide and comes in rolls of 100 yards. 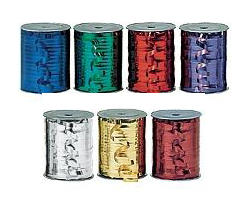 This poly curling ribbon comes in a metallic finish. Coordinate with the matching stop and lock bow or pull bow for the full look! 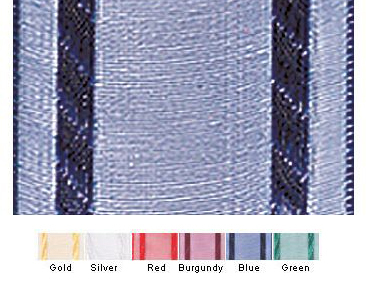 coming in 14 colors. 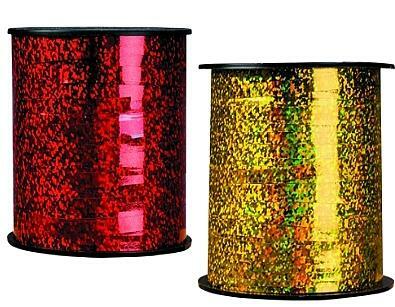 This wired metallic ribbon has a luxurious metallic sheen and wired edges to help you shape perfect bows. 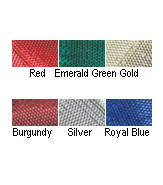 This style comes in 5/8", 1 7/16", and 2 1/4" widths, at 20 yards per roll - coming in 6 colors. 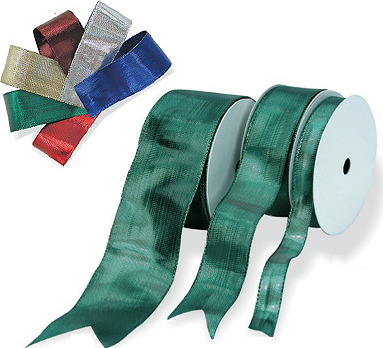 This wired ribbon is accented with metallic stripes and has wired edges to help you shape perfect bows.